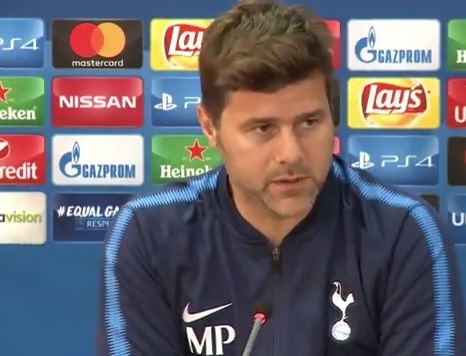 Mauricio Pochettino has a selection dilemma on his hands ahead of Tottenham’s Champions League clash with APOEL Nicosia. Spurs are expected to make light work of Group H’s minnows, who Real Madrid beat 3-0 when the two sides met a fortnight ago. Dele Alli is still suspended due to his red card against Gent in last season’s Europa League, while Jan Vertonghen will join him in sitting out because he was sent off in the final minutes of the 3-1 win over Borussia Dortmund at Wembley. Long-term absentees Danny Rose and Erik Lamela are still yet to return, though most fans have probably forgotten all about the pair. And in the middle of the pitch, there will be no Mousa Dembele (foot) or Victor Wanyama (knee). If Pochettino thinks he’s got problems, then APOEL manager Giorgos Donis has revealed his side will also be without a number of key men. “We know that Tottenham have some players missing but so do we. In fact, I think our absentees are more costly,” he told a press conference. “We are realistic. We know that Tottenham are the better team. We need to be organised but to have more time on the ball than we did in Madrid. Confidence will play a huge role for us.